Here are some very basic information about Cha-Am and its population. There are 76 provinces (changwat) in Thailand (not including Bangkok). Cha-Am is in the province of Phetchaburi (which is also a city, 30 km north of Cha-Am). The province of Phetchaburi (pronounce “Phetburi”) occupies an area of 6,255 square kilometres and is divided into eight districts: Meuang Phetchaburi, Ban Laem, Ban Lat, Cha-Am, Kaeng Krachan, Khao Yoi, Nong Ya Plong and Tha Yang. A district is called amphoe in Thai (it can be spelled amphoer, amphur…). The third administrative division level is formed by the tambon. Every district contains 8 to 10 tambon in average. Tambon are further subdivided into villages (mooban), about 10 per tambon. The district of Cha-Am is divided into 6 tambon: Cha-Am, Bangkao, Nongsala, Huay Say Neua, Ray May Patthana and Sam Phraya. 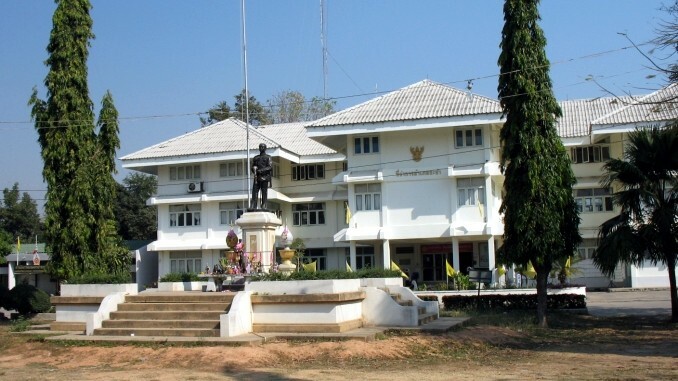 According to a 2008 census, the province of Phetchaburi had a total population of 458,975 people (222,421 man and 236,554 women), and 160,240 households. The district of Cha-Am, according to the same census, had a total population of 20,573 persons (10,098 men and 10,475 women), and 6,309 households.